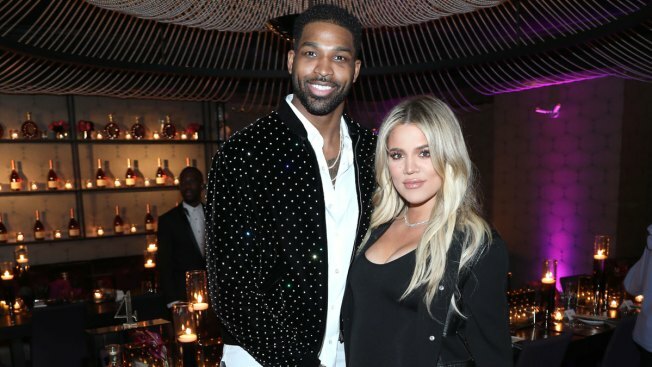 Tristan Thompson and Khloe Kardashian appear in Los Angeles on February 17, 2018. Word to the wise Tristan Thompson... don't go anywhere near your social media accounts today. The Cleveland Cavalier player is being roasted across social media after TMZ posted surveillance video Tuesday allegedly showing the partner of pregnant Khloe Kardashian cheating with another woman on Oct. 7, 2017, at a hookah lounge outside Washington, D.C.
Kardashian is expected to give birth to the couple's daughter later this month. Neither she nor Thompson has commented publicly since the allegations. But the verdict across social media has been both swift and harsh.